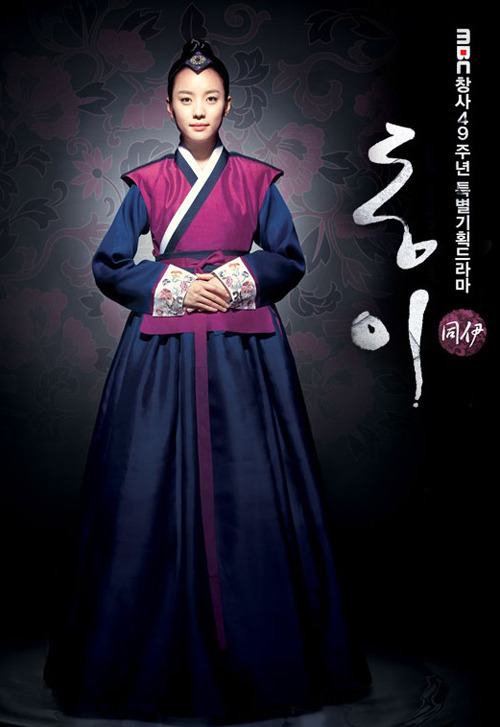 "Dong Yi" is a historical drama based on the life of Dong-yi later known as Choi Suk-bin(Han Hyo-Joo). Choi worked in the royal palace as a lowly water maid. King Sok-jong then selected Choi as his concubine. Choi would then give to birth Yeong-jo, the second son of King Sok-jong and the future king of Joseon. After the birth of Yeong-jo. Dong-yi would become Suk-bin. "Dong Yi" is based on a true story. Main actress Han Hyo-Joo and actor Bae Su-Bin previously worked together in the SBS drama "Brilliant Legacy" (Chanranhan Yusan). Names "Suk-bin" & "Hee-bin" refers to position titles of the king's wives, while "Wang Hu" refers to the king's first wife (holds highest position of all the king's wives). Mindy Thai Apr 23 2019 12:03 am Don’t ever watch this drama... unless you plan on having other dramas pale in comparison. This drama is amazing and despite it being 60 episodes long, I never felt a single episode was unnecessary. And I’ve rewatched this in its entirety at least five times. The music, the acting, and the plot are all superb, and most importantly, the female lead (Dong Yi) is the best role model for all young girls. I watched this drama with my family as a young, impressionable little kid and grew up wanting nothing more than to be just as dignified, respectable, and moral as Dong Yi. I still value justice and loyalty highly to this very day despite it being 9 years later. You could say this drama left a deep impression on me. If you’re discouraged by the length of this drama or the fact that it’s historical, please look past it and embrace it even, because this drama is worth every ounce of attention and recognition. Iyagi Jan 04 2019 6:57 am This is the one of best historical kdrama!! I think it's not popular so much because of the year... But if you're here, and reading this, You Must Just Go And Watch This Amazing Drama!!!! BoyetteY Apr 17 2018 1:18 pm Dong Yi is the best korean drama I have watched many many times. I'm already a kdrama fan. Gamsamida !!! All the characters were wonderful ! All scenes were supperbly done, eligant, funny, hilarious and some scenes even very tearfull for Dong Yi. I watched all 60 episodes and would watch it again ! SaCH Mar 04 2018 6:02 am This is the BEST drama that i ever seen. This is 1000 times better than "Jan Ok-jung living by love", & this shows the real korean history. Everyone should watch this. This make me a crazy k-drama fan..? Lili Oct 21 2017 3:57 am My first ever korean drama..this got me into the dramaland. I have seen many great dramas since then but this is obviously the best. The story, the cast, everything. Simply amazing! Tharuka Aug 14 2017 5:59 am I have watched this so many times. It is that much of beautiful. I really love the cast and I should say,this is the best saeguk drama ever...... And I also read the Sun Bin's biography and was so interested.... Thank you. Toryn Jun 14 2017 12:43 pm Lol. One thing I thought was funny was: Dong Yi unintentionally did to Heebin what Heebin did to Queen Inhyeon. The homewrecker's marriage was literally obliterated by another (accidental) homewrecker. Miso Mar 12 2017 4:16 am Did anyone notice the vehicle lights in one of the earlier episodes? I was enjoying my period drama when car lights ruined it for me. Who edited & didn't see that? Chasing a little girl at night. The environment is paramount & we missed it? Maggie Xiong Feb 08 2017 9:41 pm I would prefer Empress Ki over this but I like it. And tbh, empress ki's wars are much more like idk powerful. But I just love the main girl and the king together. They look so cute together. Butch Feb 01 2017 8:50 am I miss the dong yi cast so much. Its been 6 years since they ve killed the charts. Such a classic drama. I cant even count how many times ive watched it. Its all in one. The cast are perfect. Highly recommended. Mel Jan 29 2017 12:17 pm I must day that this Drama IS REALLY GREAT! Great Actors & Actresses, great storyline, and everything's great! I really love Han Hyo Jo's acting. Thanks to this drama and Dae Jang Geum, I started to love Korean Historical dramas because of both dramas. I still want to see Han Hyo Jo's role in future Historical dramas. Her acting was really awesome in Dong Yi. And I'm so happy to see Ji Jin Hee XD Park Ha Sun was great too. dido Jan 08 2017 8:32 am her character as a young girl was quite annoying..i started liking it at ep 6, when the king was shown..hahah..
the story was great like dae jang geum..i got envious of their lovestory..what a love! !perfect chemistry..2 thumbs for ji jin-hee and han hyo-joo..great casts and director..very inspiring!! Danniah Nov 16 2016 11:03 pm It takes me 6 years to take decision for watching this. Such a regret. At first I was afraid if it would be like Empress Ki, the empress and emperor would have trust issue. For me, sageuk like SFD and Queen Seondeok are much better than Empress Ki, it's better to watch completely political drama than drama with trust issue between the main lovers. Lol. This drama Dongyi gives the balance between politic and romance. All the casts potray their roles as aristocrats and as human-beings. Because of this, I really anticipate Shin Woontaek and Cha Jeonsu. So afraid if they would turn against the royal family, BUT THEY DON'T!!!! I appreciate how the writers wrote the storyline wonderfully. Not only problems, but the writers also the reason behind every problems and why the villains do that or why they have change of hearts. Also, at the end of every problems, Dong-yi would narrate the lessons she learns through it all. Justin Michael Aug 08 2016 8:36 am Dong Yi, as the main character you real deserve to that position, also including all other participants they did the best. I LOVE IT!!!! Elba May 18 2016 2:53 pm One of the best Historical Dramas, I loved everything about it. Like Martha said " Oh my God I thought jewel in the palace was the best but after watching Dong yi gosh I can watch it a thousand times". Really loved it. Nuella Feb 18 2016 5:15 pm @Jamila My situation is same with yours. Its so full of suspense,intrigue,love and much more. Dung yi's good and kindness always makes me want to cry. Joyprime is always my channel for the night,can't wait for tomorrow's episode! Jamila Feb 05 2016 5:28 pm I stumbled on this film in Nigerian from a ghanian free network, it is airing in episodes from Monday to Friday for an hour, and after each day I can't wait for the next day to see what will happen next. What a beautiful film even though I have not finished watching it yet, as I have to wait for the timings of the TV station airing it before I can watch. It makes me laugh and even cry at times. for a servant girl in the palace to find love and favour in the eyes of king? My God, miracles do happen. I am so much loving this film. Infact, I envy the frienship, (love) between the king Dung yi. Lala Jan 24 2016 10:35 pm A beautiful, well-made historical drama. I feel like this drama really had what it takes to succeed as a sageuk- not too much romance, great political intrigue, amazing character development, and talented actors. I went through so many emotional ups and downs with Dong Yi, and this will forever be one of my favorites. juliet owusu kankam Jan 21 2016 5:15 am I like Lee Gye-on,Kang Yu-Mi,Lee Hee-Do,Lee Kwang-Soo they make me laugh my heart out.To tell the truth l love the movie. miriamaaa Dec 27 2015 8:31 am this drama has got the BEST LOVING ATTITUDE,FAIREST AND HUMBLEST KING I'VE EVER SEEN IN ANY HISTORICAL KDRAMA, LIKE CANT EVEN RIGHT NOW!!!!!!!!!!! I cannot begin to describe the relationship between the king and Dong Yi, if you haven't watched it WATCH IT NOW ! DO IT ! :D trust me you wont regret it and 60 episodes should be nothing if you have some free time !! I should say I continued on JUST because of the love the king has for Dong Yi~! zainab Dec 21 2015 6:34 pm this is the best korean drama i've ever watched,infact i cant stop watching it even after finishing it...i just love the relation between the king and dong yi...awsome.. i finished it in 2days with only 3hrs of sleep in the first day and 2hrs for the next one...omg its perfect and i also cried in some scence...excellent and great...i dont even know how to comment it..its just the BEST guys! jamie Dec 21 2015 12:42 am Dongyi is very beautiful and strong girl and she is very talented she is Berry pretty until she became a suk bin.other people say that dongyi is ugly girl but don't say bad about dongyi because she's nice. Shayan Nov 23 2015 1:21 pm I Very Love Han Hyo Joo as Dong Yi. Han Hyo Joo is My Angel! Casey Aug 22 2015 4:28 am FYI before some crazy people start saying nonsense things about Dong Yi! according to one version, Sukjong found Jang Hui-bin in her room with a Korean shaman, making merry over having caused the Queen's death through black magic.Another interpretation based on a vague passage of theAnnals of the Joseon Dynasty states that it was Choe Suk-bin who told the King that sorcery had been used to try to bring harm to the Queen. Under the title, Queen's Will, it is written: "Oegan (外间) Quote--"Choe Suk-bin with her usual grace gives tribute to the Queen (Inhyeon) (追慕), and weeping (痛哭) for the one that could not win the heart of the King, she informed the King of the secret." This could mean that Choe was merely delivering the queen's last words. Yet, rumor in the palace was that Jang Hui-Bin had been using a Shaman to curse Queen Inhyeon. According to Min chin-won, Queen Inhyeon came to know about these rumors, and in the Annals of Joseon recorded in 1701, Min chin-won and Min Chin-hu informed King Sukjong of Jang Hui-Bin's sorcery claiming that in doing so they were in compliance with Queen Inhyeon's last request to them before dying. Nara Jul 20 2015 1:56 pm I'm not into historical drama, but this drama really "Jjang!" janet Jun 08 2015 11:04 am Dong yi is the more ugly drama in beautiful Korea.i cant stand dong yi. iyyy ugly drama.DAE JANG GEUM the best.one ugly girl her name dong yi germ girl.i cant stand han hyo joo.I am cold the live.eağgg. Jane Handreson May 24 2015 3:06 am Awesome drama...luv u dong yi! Vanessa Apr 11 2015 6:14 pm I hate the King!!! As portrayed here anyway. He is soooo weak! Goodness! Was there no one to advise this man? Maybe I am so used to the Chinese historical dramas where the court is set up differently. The emperors would not have hesitated to cut off any body's head for treason. When people were caught, they took the sword to their own neck. The writer has done a good job with the script, especially if part of the goals was to make the viewer annoyed, sad, hopeful, laugh, angry, etc., etc. Oh well, I am only 30 episodes in and can't stop watching now. I will have to continue to hate the King, thing Dong Yi is a naive little fool and see how it plays out. But, if that doggone second queen isn't killed, I will really be mad! Ted Chyn Nov 12 2014 10:02 am I have enjoyed watching the show. I have a question related to English translation of the word Slave? Is a slave in ancient Korea owned by his/her owner and can be sold or traded as property? Or slave simply means SERF or indentured servant - person without means and they are bound to the job or service they provides to another class of people with properties ? In Ancient China slaves existed pre Shang dynasty and it was seldom used from thereon. mercy Oct 01 2014 11:07 am I love the theme song"nara nara". I love the little Dong Yi. I love Dong Yi's perseverance. I wonder how the real Dong Yi was. The King is a passionate lover. The drama revolves around our every day lives. hhj Jun 29 2014 8:29 am dong yi ( han hyo joo) is my favorite actress . i love her . she plays well .when i see this drama in some emotional situation that dong yi play in them i suddenly cry. i think that the king say his feeling to dong yi very nice . he plays well such as dong yi. Aishwarya Apr 12 2014 4:43 am I love the drama so much... Everything was there...I could laugh; cry; get angry!! Its more like a real life to me! Above all the love story between the king and dong yi it so incredible that I could not sense anything fake! Love dong yi character...how she compose herself not over reacted every thing about her is for us to learn! All in all every one did a great job in this drama! I have watched it like 7times now and still can't get enough of it and it will forever be in my collection! Your fan in Tanzania! it is so touchable, i cry when dong yi's father died:'( but it is the best drama ever!!!!!!!! Andang Feb 04 2014 1:48 pm I soooper love this that i do not want to stop. No wonder it tops the chart.The king, dong yi (she fits the role, but i am a lee yo won fan) the two queens, chun soo and chief suh are very good actors plus the mommies, two musicians,the leading lady police officers are all so great. I do not like hae jeen, the brother, sorry for that. This must have been a big-budgeted drama because it needs so many extras, costumes and different places. The characters' characters, lolss on that, have been developed so well as the story progresses that it moved me, i.e. I hate hui's hypocrisy and how she toyed the king around her fingers, or how i pity dong yi, how tired must have been trying to avoid the soldiers because she really looks haggard, thin and pale. Overall, i rate this as 99% ( not 100 because i am a lee yo won fan lolsss.) korean dramas are so beautiful even though i am not a korean, i will keep on watching all your dramas. I love 49days,qsd,bong dal hee,jewel,heo jun, original version,lovers in paris, among others. Thank you and more power. Merina Toromon Dec 11 2013 5:27 am i love this movie. I learn alot from it!!!! MJ Nov 18 2013 11:17 pm I Love this Drama forever! omonigho Nov 15 2013 2:32 pm Dis is lovely...I so much enjoyed dong yi..even if am nt a korean I have learnt so much from dis great series.the actors and actress are awesome. Pamela Sep 28 2013 8:17 pm Ok I started watching Dong Yi out of curiosity after watching JOJ drama, and I AM SO HAPPY I did it. now that I ve finished what is gonna be of my life! It was GREAT!! Love it! The storyline is absolutely captivating, thou between chap. 22-28 it drags a little, maybe because I was desperate for the king and Lady Choe to be together again, such a pure, deep and sincere love, they protected each other with all their means, Nobody could mess with her cause The King protected her till the end, now that make sense. the plot was brilliant and the conspiracy very intriguing, and you kept wondering was gonna happen now, I cried, laugh, got angry, and happy which a good drama should make you feel.Everybody did it great the actors were wonderful. Its funny, after I finished i started to come back to my favorites chapters. 1 to 6,11 to 17,21,22,23,28,29,30 to all they way to 60 Ok Yes I admit its almost the whole drama but I just LOVE IT. The little prince is so adorable, and the scenes of the king with his son are delightful. I was hesitating in the beginning because there were 60 chapters but at the end I wanted more and was very sad that it had finished So this one goes definitely to my top 5.
steven Achia Aug 15 2013 4:20 am I Love the the series, it captivating, am currently on episode 57 out of the 60, the whole Dong Yi stuff, the King, all that stuff is captivating. I usually return from work and at about 7:00pm I retire to my bed room and relax to watch the intrigue in the Korean series. Dong Yi's self less character is a good portrayal of how we should live our lives - to me it portrays how we should be there for our friends, our family, and our workers, ie like Dong Yi over and over does for her Attendants. I also appreciate the literal potrayal of how the pursuit for power, wealth and prominence may not be the cause for happiness in one's life. It could actually create misery ie as seen in Consourt Hui case. I also note from the case of the deposed queen in the scene where she had been deposed and was even attacked by then queen hui's people that suffering can actually follow you, you need to be resolute. the intrigue that consort Hui places in the drama, makes one continue to watch. I however noted that the King kept on marrying Queens whom he did not actually ever love, the Queens seem to be mere power and status symbols. crite Aug 05 2013 8:59 pm Just an avid fan of Han Hyo Jo... im avoiding to watch this because it is about 60 episodes and too much to download. However, with good comments on this I tried to watch and totally hooked up. now, im on the way to the 22nd episode. It is too much fun watching King Sukjong and Dongyi specially on the first time they met outside the palace when Dongyi did not notice it was the king she is together with. NaRa Jul 30 2013 8:02 am Yes. I also watch Dong Yi for 2nd time. That Jang Ok-Jung movie feel like the director FORCING people to have good view of her. But definitely impossible and JOJ movie just a novel not the history. I love Dong Yi very much. Hoi Louis Jul 27 2013 2:41 pm Thank you "Lee So-Yeon" for such a great performance as Consort Hui! Your character was so deliciously evil towards the end of the series. What starts out as a simple tale of a driven political character with a moral center, she is driven to madness with bad advice from political operatives and relatives. You are a joy to watch each week. Too bad there weren't many face to face scenes with your character and Han Hyo-Joo's Consort Sook. So it was gratifying to have that final scene between you too before the execution. a fan. ps. You should've won best actress that year! Roash Jul 26 2013 6:04 am The BEST and the SUPERB movie I've EVER watched Also THE BEST ,COOLEST AND THE PRETTIEST characters have been choosen to act in the movie. All of the characters are acting nicely specailly the the one who is  acting as Dongyi(Hun Hyo Ju)  & Sukjon (Ji Jin Hee) also the other coolest and my loving acters and actresses ALso the one's who is acting as prince LEE HYUNG SUK and YOON CHAN. LOVE YOU GUYS VERY MUCH!!!!!!!!!!!!!!!!!!!!!!!!!!!!!!!!!!!!!!!!!!!!!!!!!!!!!!!!!!!!! Tharushi Jul 11 2013 9:53 am What a cooooooL drama.thanks for Korea.Lee so beon is well acting than Han hyo joo.and i love Bea soo bin.he's fighting is awesome.also he is so handsome.Jin ji hee is quiet scared for every thing.park ha sun us very pretty .I love this drama very much . zinneyy Jun 27 2013 8:38 am I really wish people would stop comparing dong yi and jewel of the palace ( unless you wanna show the million ways in which dong yi supercedes it) jewel of the palace was a total snooze fest. I kept wondering throughout how in the world did people enjoy this show. I couldn't bring myself to watch it all. Dong yi was totally awesome. The only thing that could have made it better, would have been more kiss scenes! madushan Jun 26 2013 8:38 am it was an amazing drama i ever saw.....i haven't any words to explain my feelings. Namali Devasurendra Jun 08 2013 5:57 am I love this drama. cik timah Jun 01 2013 5:52 am Love this drama so much..like love in first sight..hope there are more drama as great as this..
Anu - Colombo May 29 2013 2:12 am just love this story soooooooo much & this lead me to find out & learn about Choi Suk-bin more & more. Sandasara Apr 10 2013 10:53 pm If you like Dong Yi, why not try Jewel in the palace - Dae Jang Guem? It's also Korean and is just as nice. D.Wicky Feb 16 2013 11:42 am A drama worth watching!! Gives a good knowledge to the viewer.... I love this drama a lot and the full cast....They have done their roles really well and wish them all with their future work! UPEKSHA Feb 11 2013 11:18 pm It just started telecasting in Sri Lanka! Seems really interesting~! SARANGHAEE DON YI~! Faith Agbayani Nov 10 2012 3:45 pm Aloha from Hawaii! Academy Award Winning Movie worthy of Best Movie, Best Actress Han Hyo Joo and Best Actor Ji Jin Hee, their stunning and heartwarming potrayals and unforgettable performances comparable to "Gone With the Wind". Most deserving of all awards in 2010 and hope to see more of these excellent Korean historical dramas! Purchased two sets and love watching "Dong Yi" and adore Han Hyo Joo. The whole production, direction, cast and crew contributed to a great motion picture. Andreea Jul 19 2012 4:55 am I like this historical kdrama,the story,the acting,the scenes,the music(especially the instrumental versions).(^ . ^) It definitely worth watching. marish Jun 01 2012 9:01 pm I really like this epic drama!!! story line superb although it was a true story in Korea. The Actresses and the Actors are really in excellent performance..I cant wait the Happy Ending...!!! Ronald P May 31 2012 10:26 pm You are the one Dong Yi.I will never ever forget this story....love yah! sherlynn toribio May 16 2012 3:57 am i really love dongyi, hinde pa ito ng sisimula gustong gusto ko na tlga syang panoorin.. nung nakita ko ang trailer at naku!! ang idol ko pla ang gaganapina n dongyi hnde ko na tlga pinalampasin panoorin to , khit late n nga ako umuwi ng bahay inaabangan ko prin tlga ang dongyi mapa sa tv man or sa internet.. khit na end ko na ang series ng dongyi naku,.. naiiyak parin ako panoorin ang kwento ni dongyi,.. weeew! it contains 60 episodes pero hnde ako napapagod manood ng dongyi khit wala akong tulog pagdating ko sa wrk kinikilig prin ako hahaha! i love dongyi more than ever..its a great historical drama!! !base on the true to life story! nixie May 12 2012 2:30 am Ooh!!! I really love "Dongyi" and "Yi San, Wind of the Palace" - it's like a continuation with 136 episodes in all!!! Really great and absorbing dramas,. Actually, these 2 dramas , although historically not completely accurate, are too good to miss. Dong Yi is probably the best drama series (korean or not) that I will ever see. After reading all these good comments I cant help but want to add something too just to show my support for this series. Watching it makes me so happy and it makes me so dreamy. This is the best ever! CaRLo May 10 2012 9:09 am I love you DONG YI!!!!!! i love to watch Dong Yi all the time!!! dramartist reviewer May 04 2012 8:52 am Ooh!!! I really love "Dongyi" and "Yi San, Wind of the Palace" - it's like a continuation with 136 episodes in all!!! Really great and absorbing dramas,. Actually, these 2 dramas , although historically not completely accurate, are too good to miss. JenJacqs May 01 2012 4:54 pm I Love Dong Yi, just as I love Queen Seon Deok and Jewel in the Palace. These are my top 3 historical drama. charissa May 01 2012 1:04 am I love Dongyi really.. the best korean drama ever. i wish i could be like dongyi personality..intelligent,honest and etc aside from that shes so pretty!! in this korean drama the main character is not totally hurt so bad.. there's justice and I really love it..SUPERRRRRR.thanks GMA for let me watch these drama even in late night already, I still enjoy it..so GOOD!! edna Apr 27 2012 11:57 pm Personally, I believe this is the best Korean drama shown here in the Philippines. Great everything: story, casts, costumes, music, so heartwarming and inspiring. I specially love Han Hyo Joo. Her portrayal/characterization of Dong Yi was perfect; she was the best choice for the role. Ji Jin Hee as King was superb. I watched out for him in Jewel in the Palace but I fell in love with him in Dong Yi. It is my wish that they both visit the Philippines soon. There were weak and debatable points in some segments like when Dong Yi got struck with a sword and the date of birth of Prince Yeon Ing but overall the drama is GREAT! donnajanebungabong Apr 25 2012 9:32 pm I stand correctly that DONGYI is the most beautiful, wonderful, inspiring, and a high class drama. I am very thankful to GMA to let me discovered and watch DONGYI. I love Han Hyo Joo, muah.!!!!!!! twinkle castro Apr 19 2012 6:15 am I never forget this drama because there are scenes here that I began to cry and the beauty of this story my heart until I die I will not forget it. richard paz Apr 10 2012 1:27 am it is a great korean drama, all aspects of the entire drama is perfect!!!! i really love to watch a drama like this!!! the palace theme is really eye catchy!!!! i hope to see more drama like this!!! it made me complete!!!! Jana Apr 03 2012 12:33 pm Let me just say, I finally finished the series. It was definitely a beautiful historical drama. I watched with English subtitles and I was never disappointed. The actors were definitely good. I am an Afican American and I love history. This was just great all around ..very respectful.........now I have been introduced o the Korean culture or sure....smile. Yes, I also watched YiSan and Jewel of the Palace ...I highly recommend. Helen del rosario Mar 30 2012 7:02 am I really love this show... The story was so great and all the actors and actresses was so great in there acting...keep it up guys! Jae Mar 27 2012 5:44 am Love this series. It's one of the first series to have a happy ending for the lovebirds! ^.^ The best scenes were the first and last meeting where she climbs his back! He made me laugh when he basically told her she gained weight! She was the same as always, calling him a wimp. victoria Mar 25 2012 12:22 pm Love Dong Yi... Great movie. Mousey Feb 21 2012 6:36 pm Amazingly great! Stunning performances by all. stephanie Feb 18 2012 8:40 am Dong Yi is probably the best drama series (korean or not) that I will ever see. After reading all these good comments I cant help but want to add something too just to show my support for this series. Watching it makes me so happy and it makes me so dreamy. This is the best ever! Dimitri Georgiou Jan 27 2012 8:16 pm Dong-yi Please can you tell me what happen next in Jan.30,2012 on dongyi? liah Jan 24 2012 12:25 am I love the story.It’s really a nice drama! Jessica Jan 22 2012 2:31 pm By the way, all the casts are amazing! AMAZING! Never thought korean drama could be this great! OMY how could this happen? Can't get over it. Jessica Jan 22 2012 2:27 pm I LOVE THIS DRAMA. After watching all episodes, it made me sad. "I'm back to reality again." I wish I was there. It felt so real. The best ever! cris Jan 17 2012 2:54 am i love this drama, most specially the king and dong yi love theme and the music its so nice bravo. olive Jan 15 2012 11:43 pm OMG!!!! This is the best series in the world for me!!!! As in ever... It is far incomparable with all other series in the world. Name it, Asian, Western, American etc... but this still is the best. maila Jan 15 2012 1:29 am I like the character of ji jin hee and lee hyu seon.they are the one who give the Life of the story.thumbs up for the 2 artisy. tin Jan 01 2012 6:44 am this movie drama caught my heart. i'm very glad that korea has a kind of this movie. mary Dec 21 2011 3:32 pm This show rocks, the production values everything is by far better than what the Hollywood cookie cutters throw out. They tell an exciting story that has romance, adventure, and intrigue all without smuting it down! Terrific job - worthy of an Emmy. Mars Dec 16 2011 5:25 pm Guyz you should try it's trailer mp3.you'll go crazy.i downloaded from tubidy.but here in africa there is not dvds so we're really strugling.iam tired of our broadcast that bring korean dramas.it run only therty minutes,when it's supposed to run obout 1 hour.iam so desperate i need my own dvd so i can play wheneve i want. Mars Dec 16 2011 5:04 pm All what iam crazy obout is it's mp3.though i cant understand anything i'm crazy about it.i haven't watched the series yet but i downloded from tubidy you should try to it's trailer song,you should go crazy. Joseon Dec 05 2011 4:15 pm I am a fan of historical dramas, and Dong Yi is one such great drama. It brings me back to eras that I only read in history books, so in effect period dramas bring the past to life. Great job MBC! korean girl Oct 27 2011 5:17 pm "DONG YI"
korean girl Oct 10 2011 7:01 am o.o.o "Dong Yi" I love so much this drama its very interesting I'm a fan of Han Hyo Joo too She's my favorite actress in the world I Love Your acting in this drama Hyo Joo Fiting! Zana Jul 25 2011 5:40 pm Dong Yi TV series (in Kurdish) just ended in Kurdistan (north Iraq) every one was hooked to the TV, lol people were always talking about the events and often argue over who is the most hated character. But for me the star has to be Han Hyo Joo (also known as ''Dongi'') the girl is simply a breath of fresh air. Devil Jul 11 2011 11:12 pm I Love this Drama ! my life live for watch this drama ! My superstar is ! Yoon chan! Yoon chan !Yoon chan ! Yoon chan Yoon chan ! Yoon chan ! Yoon Chan ! Yoon chan ! Yoon Chan ! Yoon Chan ! YOon Chan ! Yoon Chan ! Yoon Chan ! alma May 20 2011 10:25 am wow fantastic lovely. i love this drama n the music of hageum. novie ying May 11 2011 9:29 am woooow i like it.. so so nice..
Bip-bip Apr 10 2011 4:38 pm Gedorah was homosexual? Because I see a picture entitled: Gedorah's husband. pj Apr 08 2011 2:10 am every tym i hear the sound of a solemn music i remember my favorite korean drama.. "dong-yi" it reminds me of how choi dong-yi plays hageum... "dong-yi" is a must seen movie for all ages...! pj Jan 20 2011 6:30 am can't help myself to watch it again! dong-yi is one of the best drama ive ever seen! Amber Jan 03 2011 6:05 pm I'm a fan of Han Hyo Joo.She's my favorite actress in the world.I'm learning Jap bcos I heard she liked jap movies.I like her better with her child,Geum in the drama.They're compatible and shown great acting together.It almost feel like she's her real son.I hope she getting another daesang in coming years.Congratulation for getting daesang at MBC award ceremony.I hope you be better in 2011 and sings a lot of warm songs and sincere dramas.I like her best in Soul Special.She's fitted for the roll.I hope she to visit to Myanmar if it's possible. pj Jan 02 2011 7:26 am dong-yi is a heartfilling drama! two thumbs up! Mia Oct 07 2010 4:03 pm That my Dream DoNg Yi... Wow, I LoVe DoNg Yi... Very Excellent Drama... ... pss! Should I married Dong Yi ? Li Aug 22 2010 2:54 am Hope to see an extension of the drama. Li Aug 22 2010 2:52 am I love the acting of Ji Jin Hee as King Sukjong, he projects a warmth and endearing personality when it comes to a romantic scene with Dong Yi. Although, Han Hyo Joo acting is good too, but in love scene she is a bit stiff, as it is always the King who hug her first. Husker Aug 14 2010 4:21 pm Another great series! I see a number of actors and actresses from "Lee San" and the "Great Queen Seondeok". Can't stop watching this, the Korean women are so gorgeous! Keep up the good work here in America, MBC! Sonny Jun 04 2010 8:51 am Beautiful and fascinating Drama, excellent acting...top grade in every aspect od a wonderful work. Thanks so much. - Han Hyo Joo + Lee So Yeon = in "Spring Waltz" - Han Hyo Joo + Bae Su Bin = in "Brilliant Legacy" - Lee So-Yeon + Bae Su Bin = in "Temptation of an Angel"
ana Apr 17 2010 12:09 pm i love this drama...i am a fan of Korean drama...very very nice. jezebel Mar 14 2010 9:10 am Trag nadejde ca va fi difuzata in Romania, dar cine stie cand se vor gandi sa o dea pe post!!!!! Claudiu Feb 25 2010 6:05 am This drama will be difused in romania?